I woke up early go to feed my friend’s cat. I forgot which house she lived in despite knowing her since 5th grade, but we eventually found it. I forgot, because I’m used to knowing her house by standing at the doorstep. I then went out to play laser tag with Kohai! It was her long due Christmas gift, and her first time playing. I went as Bot, and her “Go hi”, originally intended to be “Kohai”, but of course, the person didn’t understand that. I was expecting it and even joked with her about what they’ll use to spell it. First game we got split up, since it’s hard to stay together in a dark maze where you have to get cover while under attack (usually I’d get cover without saying anything, though this time I realised my mistake and started saying “fall back” so she knew I was leaving), but I found a good spot in one of the railings. I could turn a wall to shoot some campers, and behind me I could get a big group of people without them being able to shoot me, cause the wall covered my vest. I remember shooting the group behind me once and they yelled and scattered everywhere when they realized everyone was getting hit (that made me laugh). Though what cost me most of my points is people going up the railing. I’d shoot them, then let them go, but then they’ll turn back and shoot me once they’re no longer stunned. There was also the girl I allied with without us saying anything and we kept accidentally shooting each other. The next game we managed to stay together by camping. I lost her at some point and it was really odd, because I saw her turn a corner, quickly followed her, and she disappeared. Luckily we go back together and found the camping spot. That time I was called “Boss”, even though I put an accent on the “t” for “Bot”. It isn’t a bad name, but I prefer Bot. She was “No you” this time. Inside joke. 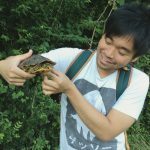 Myself and other people I showed this to prefer the Metapod (green guy) over the Oddish (blue guy). I feel the no outline thing would work better on a background. I was too tired today to record for my YouTube video, and I prefer to do it while I’m alone in my house so I can yell as much as I want, so I plan on doing that tomorrow if I get the chance. Both of them look really good. 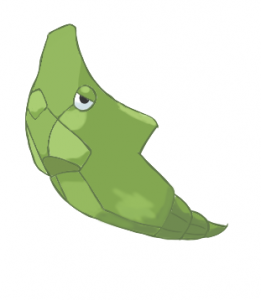 The metapod looks a little flat to me though due to the shading, and the oddish kind of looks weird without an outline. The shading was something I was going to change on my next drawing—I mostly just copied the shading on the reference it gave me, that way I can just know what the lines would look like. 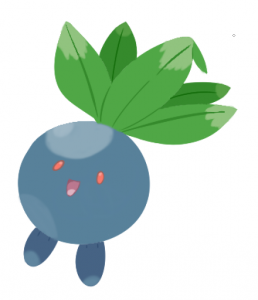 And the Oddish for me to pull off the no outline, I’d have to add in much more shading or some texture, which is why it might look a bit odd. But then again, it would only work best as a background, where things are too far to see an outline/aren’t the main focus, or if the Oddish itself was far away.